A state-of-the-art labour rooms are manned 24x7 by a qualified experienced team of doctors, nurses and paramedics, supported by a team of Obstetrics & Gynaecology who provide 24*7 in-house services. Blood Bank services are unparalleled. Our blood bank plays a very crucial role in obstetrics emergencies. The department handles many complicated referrals in obstetrics and gynecology Availability of 24 hours expertise for uterine artery remobilization makes a difference in the management of acute post partum hemorrhage. The Obstetrics & Gynaecology department is one of the busiest tertiary maternity centre in the city and the number of deleveries exceeds 4000 per year. A large number of these patients are underprivileged and have limited resources to avail of quality health care which is beyond the reach of a common man. Many of the referred cases are complicated high risk pregnancies and the department is well equipped to handle such cases along with the neonatal intensive care unit attached to the department. cases along with the neonatal intensive care unit attached to the department. Gynaecology clinics are conducted every day except Sundays by the senior residents and consultants. Facilities for special consultations are available every day morning and evening. There is an Antenatal clinic in the hospital for pregnant women which are conducted every day except Sundays. Special high risk pregnancy clinics are held once a week by medical specialists. We also conduct two free clinics every week for the poor patients. We have an excellent labour ward with staff who offer tender, loving care. 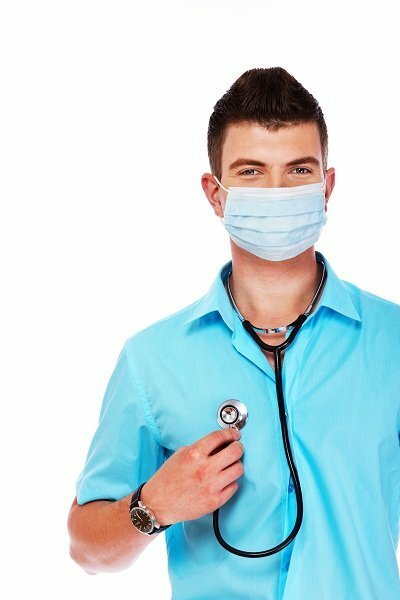 The doctors are present at all times, so emergencies are handled effectively. There is facility for epidural analgesia for those keen on having painless labour. We have a state of the art CTG or NST which helps us in monitoring the babies before and during labour. We have a high vaginal delivery rate for uncomplicated cases. However if and when a caesarean is needed we have an excellent OT with competent doctors and assistants. Even the decision to do a caesarean is taken only in consultation with the mother and her partner. All referrals for tertiary cases whether obstetric or gynaec are accepted. We are a post graduate institute with regular teaching sessions for students. All our doctors are extremely competent and offer excellent counseling. For high risk cases and pregnancies we have the facilities of ICU, Physicians, Intensivists, Hematologists and Nephrologists as and when required. Again this helps us to have a Multi disciplinary approach and reduce the risk and rate of complications that a mother faces. Even when a complication arises it is managed very effectively. There is a fully equipped 24 hours blood bank and laboratory. This also helps in the prompt investigation and starting of treatment. Post delivery the mother is looked after in well equipped wards. Breast feeding is supported and advised from the beginning.